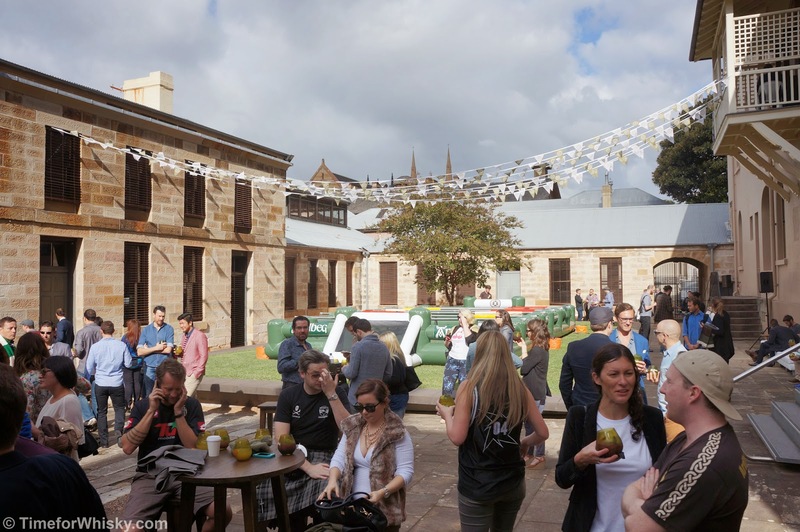 A few months ago I attended the Scotch Malt Whisky Society Australia's "Whisky Tasting Extravaganza", held in the usual Royal Automobile Club location. 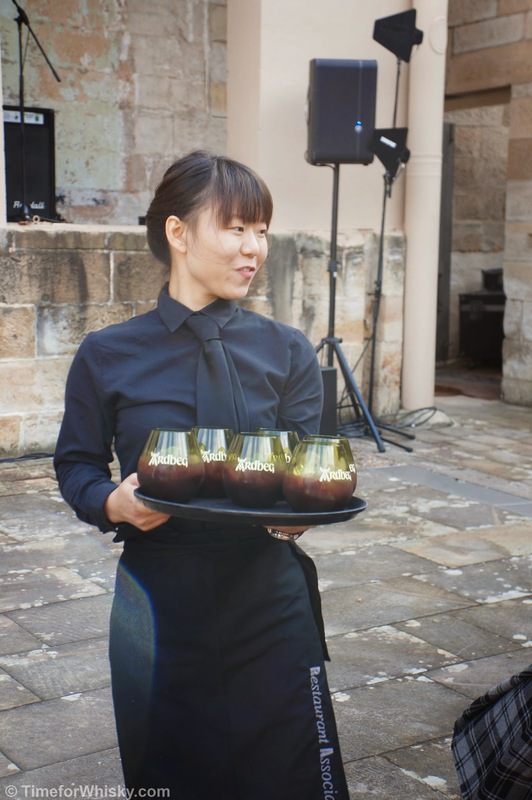 Calling it the "biggest SMWS tasting ever" certainly wasn't an exaggeration, as the stand-up, tasting station format saw guests handed a "passport" with 12 stamps, to be filled up in two hours (if so desired). 12 whisky tastes. 2 hours. Nose: Rich, sweet, Demerara sugar and breakfast cereal. Palate: Syrupy, chewy even! 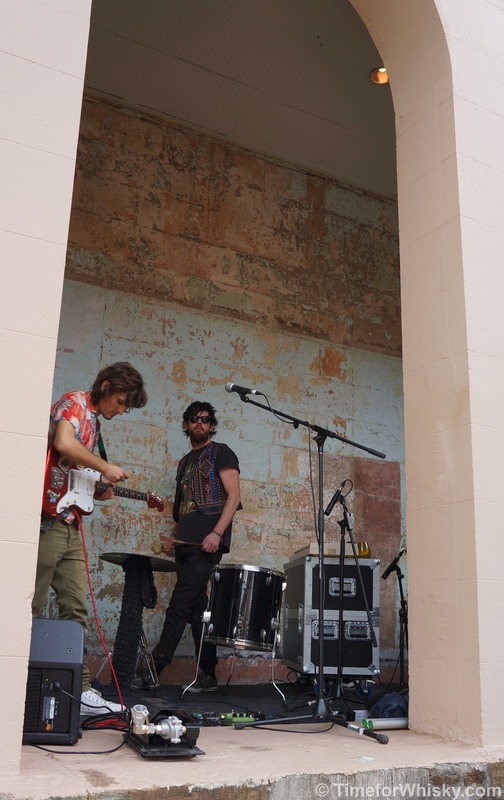 Hint of smoke, and boiled lollies. Finish: Long, dusky, rich sugar notes. Nose: Malty, earthy, grassy, with an undertone of sweetness. Palate: Malty, rich, earthy. A world apart from the previous dram. Finish: Long, sweet, tannic towards the end, with a mouth-drying finish. Nose: Tropic fruits, sherbert. Not what you;d expect of a 39yo whisky. Palate: Light and fruity! Again, strange for a whisky of this age. Slightly earthy notes. Finish: Long, incredibly smooth, with some residual smoke towards the end (though very light). Rating (on my very non-scientific scale): 91/100. Incredible simply for how its character compares with its age. 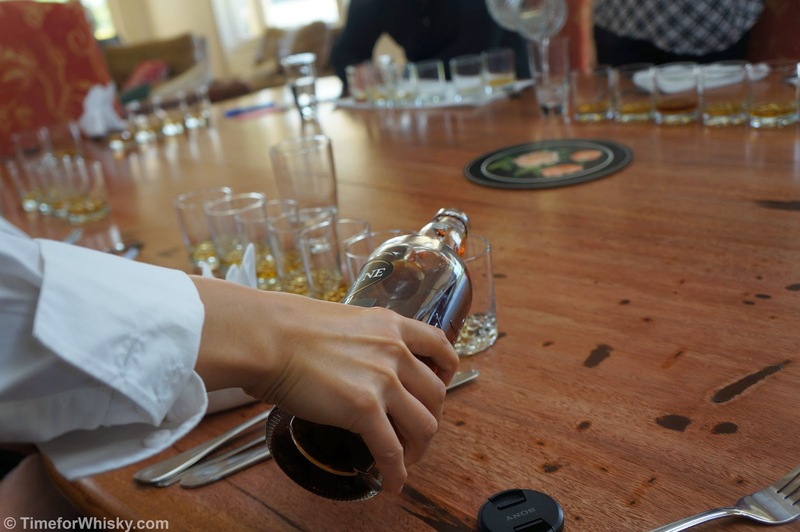 While I do think 12 cask strength drams was a little too many (not that we were forced, mind you), I enjoyed this format, and look forward to seeing this more casual setup mixed in with the more formal SMWS tastings throughout the year. 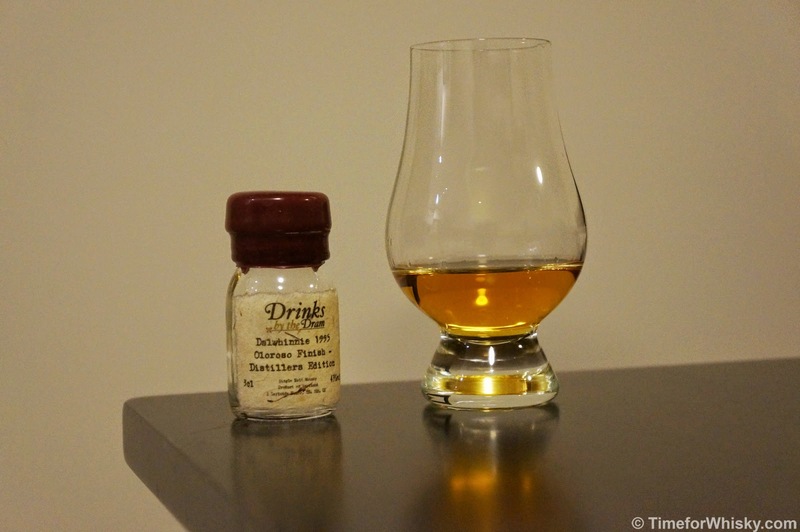 We've featured Old Pulteney on the blog before, having tried (and enjoyed) the 12 and 17yo releases. The 21yo also features in the #101drams list (tasted but not yet posted), as does the 40yo (sadly still an outstanding dram on the list). 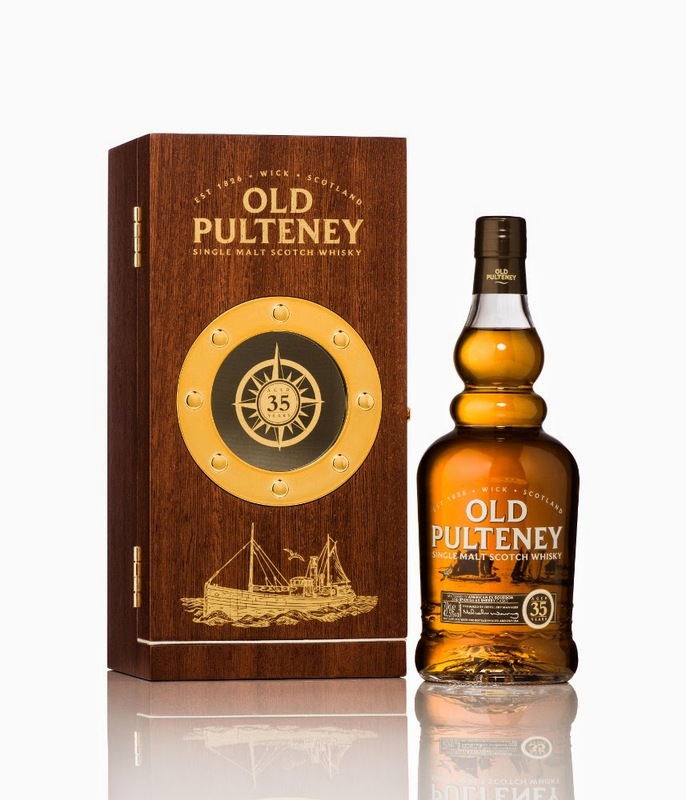 Old Pulteney have now added another whisky to the lineup, with the release of a (very limited) 35yo single malt. 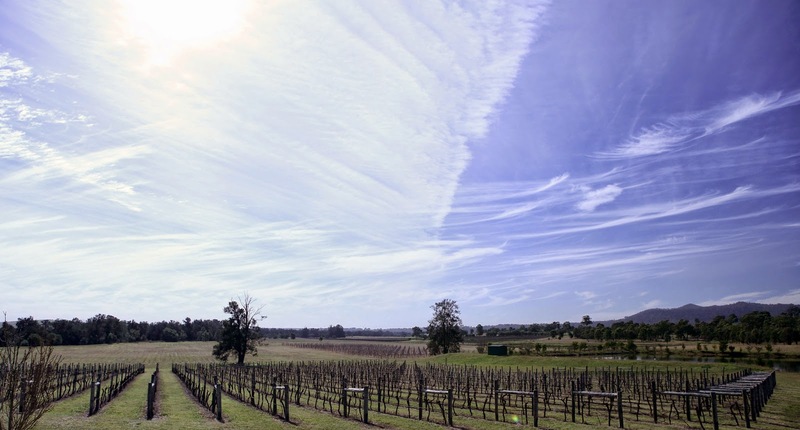 Only 450 cases will be released, with a retail price of £500 per bottle in the UK. 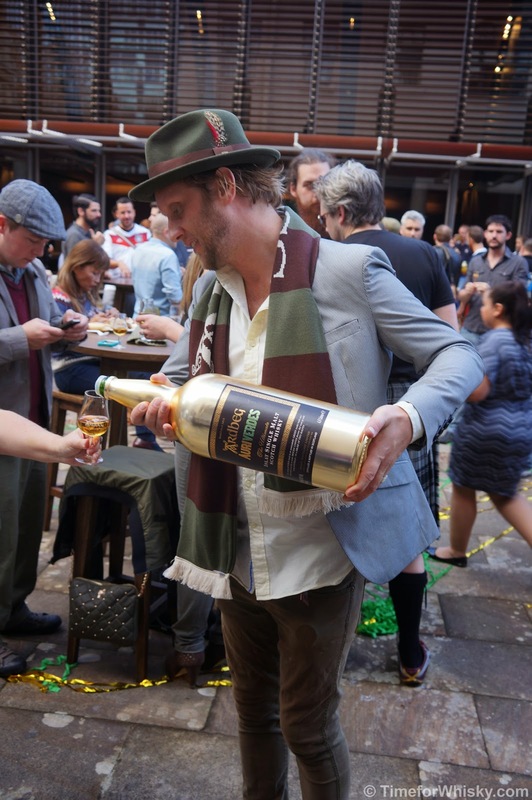 Just 6 bottles will be making their way to Australia, with an RRP over $900AUD. Contact island2island for further details. "The embodiment of Pulteney Distillery’s exceptional craftsmanship, this new expression is matured in American ex-bourbon and Spanish ex-sherry casks which have been expertly hand selected by Distillery Manager Malcolm Waring. Each striking 700ml bottle is non-chill filtered at 42.5% ABV. On the palate this full bodied expression is sweet and spicy to start then quickly develops a range of signature Old Pulteney flavours from honey, rum soaked raisins and oranges to the heavier notes of seasoned leather, pralines and a touch of the salty North Sea air. A truly indulgent, perfectly balanced whisky, it has a long slow finish and is light amber in colour." 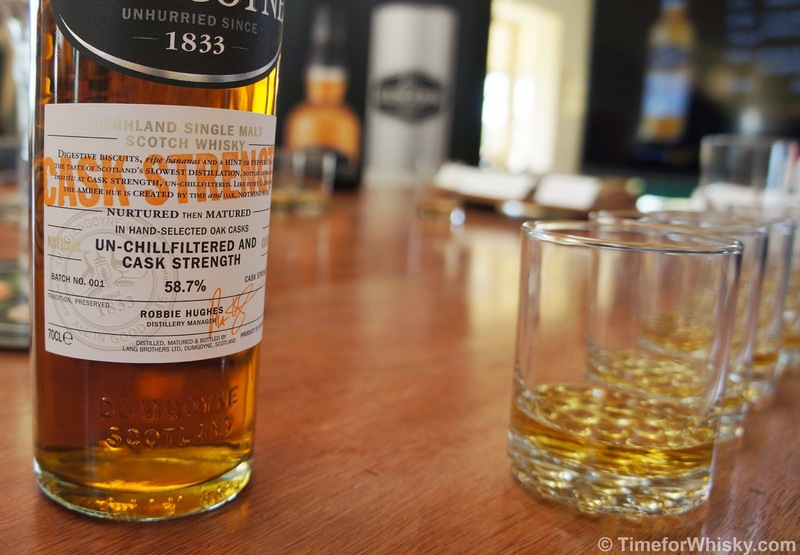 As many malt fans know, The Glenrothes are well known for their extensive "Vintage" range of whiskies, especially since their 1994 move from being primarily a "blenders'" whisky to producing their own single malt. The 2001 is the latest Vintage in the lineup, bottled in 2012 (whilst it doesn't carry an age statement, the distillation and bottling dates make it 11 years old). Described by Ronnie Cox, The Glenrothes Brand Heritage Director as "Deliciously creamy citrus wrapped tightly in the softness of aged oak. 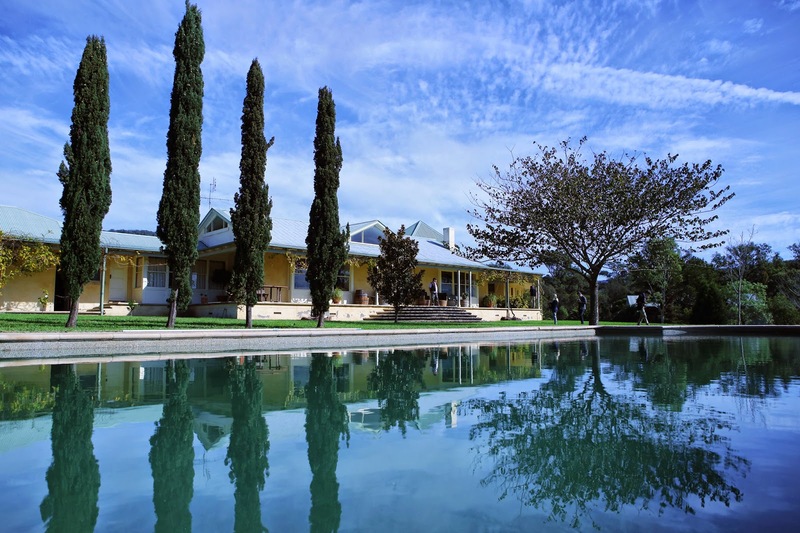 Complete and complex integrity in a glass" and having a flavour profile heavier on the vanilla, spice, fruit side of things, the new vintage retails for $105AUD and will be widely available in Australia from mid-July. 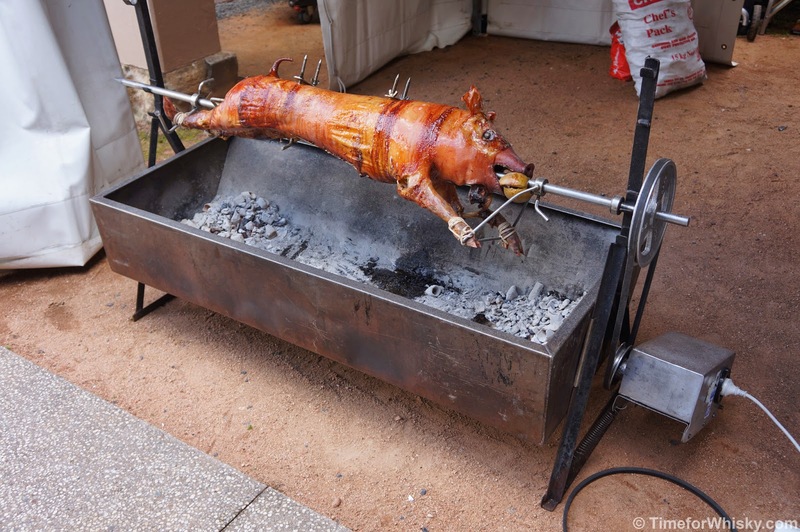 On Thursday 10th July, 7pm, at Good Time Diner at The Eastern Hotel, guests will enjoy an entertaining dinner full of smoked meats, 5 bourbons and 5 strapping whisky's as 2 guest ambassadors from South Trade go head to head in the pursuit to be the all time favourite tipple. 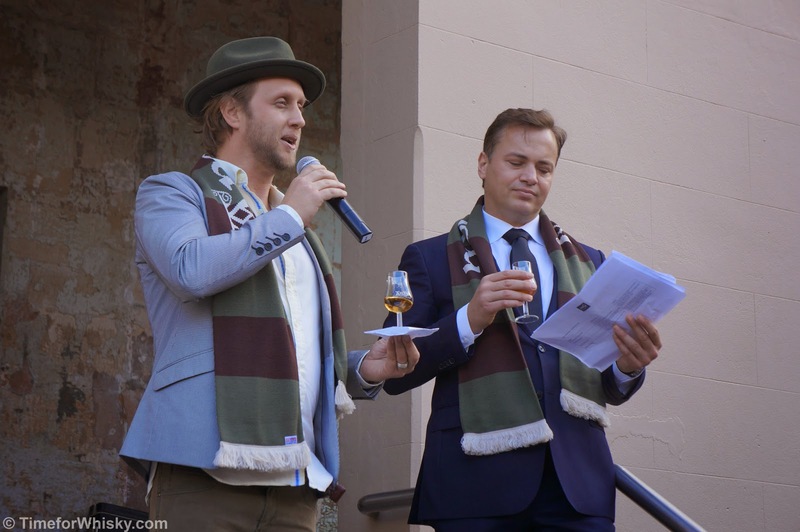 As anyone who lives in Australia knows, us Aussies can pay heavily for our whisky. Blame it on the tax man, blame it on the exchange rate, blame it on our distance from anywhere else, blame it on whatever you like (mostly the tax man)...it's true. That's not to say we don't have the occasional win, mind you (and we generally pay less for our own, local whiskies than the UK), but on the whole...we pay exorbitantly for whisky and high-ABV spirits in this country. Partly due to this, and partly just to try as many whiskies as possible, a few of us have taken to sharing sample drams, to try weird, wonderful and sometime downright expensive drams, without having to shell out the money for a full bottle. That's where this little beauty comes in. Brora, mothballed in 1983, and now the stuff of legend. Not quite "Port Ellen level" legend, but not far off. 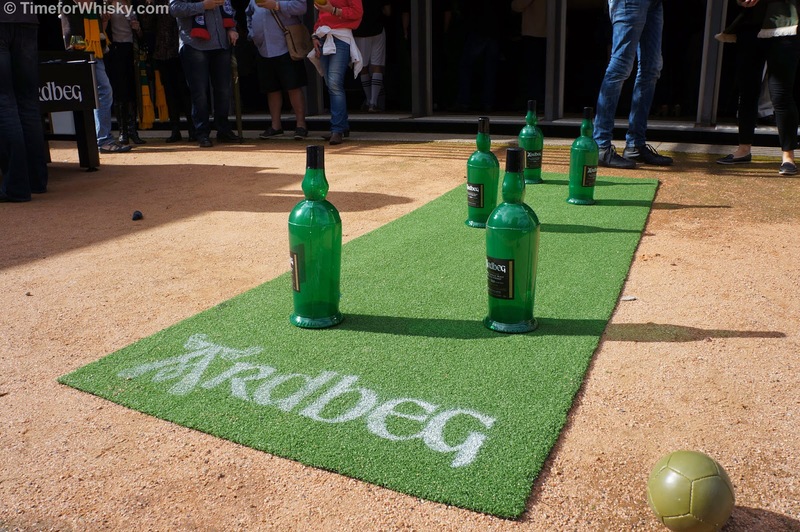 In fact Diageo's most expensive release to date is a Brora (not this one though). After sharing whisky lists a few months ago, Cooper of Australian blog singlema.lt and myself decided to swap a few drams, and I ended up with this 30yo Brora. Colour: Honey. From a refill cask? Light in colour for a cask strength whisky. Nose: Subdued smoke, tropic fruits - pineapple, apricot. Some slight musty notes. Palate: Very subdued smoke, oily. Smooth and somewhat light (would have guessed ~46% ABV). Ash, sweet, vanilla essence. Finish: Salt, smoke, sweet toffee. All three balanced brilliantly. Rating (on my very non-scientific scale): 95/100. No two ways about it - a stunning dram. Thanks again to Cooper from singlema.lt for this stunning dram and fantastic opportunity. 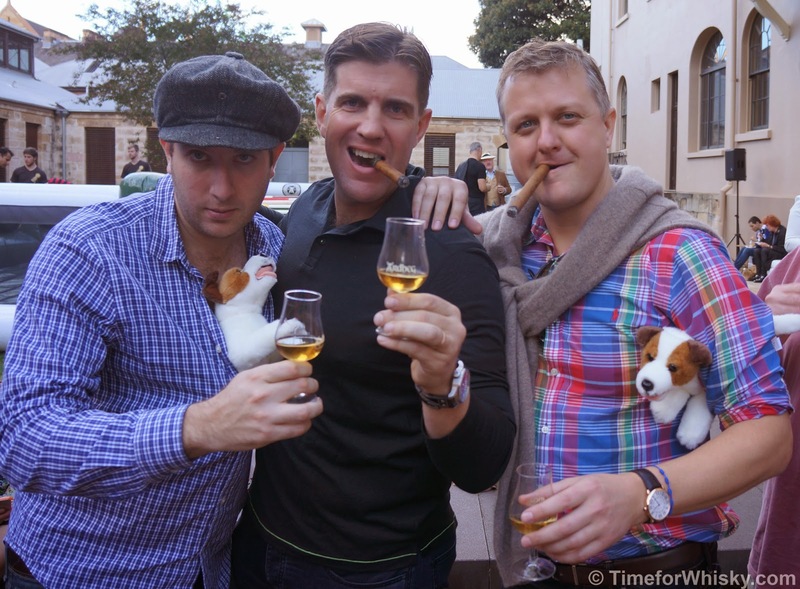 TimeforWhisky.com has partnered with Irish distillery Tullamore D.E.W who are offering one reader the chance to win 2 x tickets to an afternoon of Irish whiskey tasting with Irish whiskey expert (and Tullamore D.E.W’s Global Brand Ambassador) John Quinn, who’s currently visiting Australia from the distillery in Ireland. The prize also includes 2 x bottles of Tullamore D.E.W Irish Whiskey. 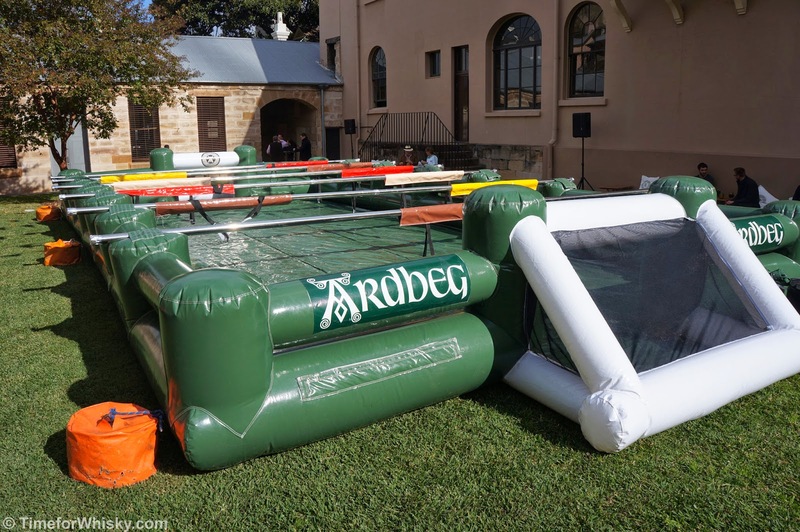 The competition is open to all Australian residents, though the winner must make their own way to/from the venue in Sydney. The tasting, to be held at Sydney's The Potting Shed (within the Grounds of Alexandria) on Friday 27th June at 4:30pm will see guests tasting a number of Tullamore D.E.W whiskies, including those unavailable in Australia such as the Cask Strength “Phoenix" and highly acclaimed four cask 10 Year Old Single Malt. From our own tasting a few months ago, the Cask Strength “Phoenix” is a fantastic dram, and we personally can’t wait to try the single malt. This won’t be any normal tasting, however, as the tasting will see John “deconstruct” Tullamore D.E.W into its key three elements - Pot Still Whiskey, Malt Whiskey and Grain Whiskey, tasting whiskey direct from distillery stocks! 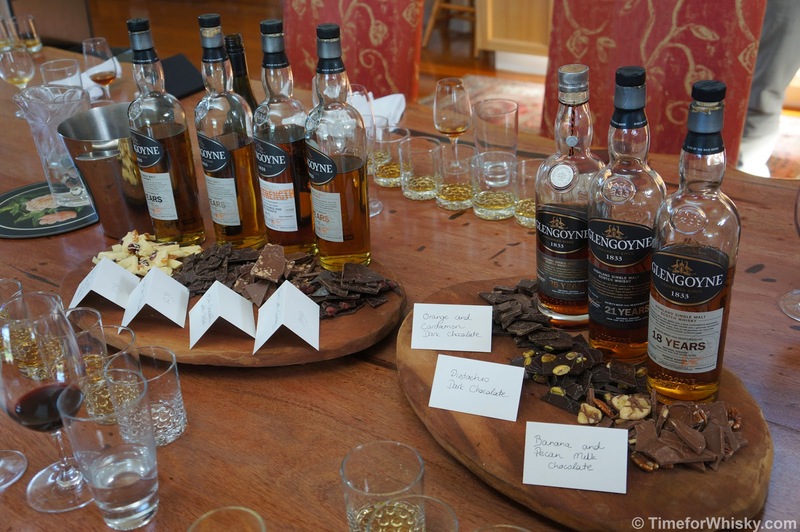 The tasting will also include an opportunity to create your own unique Tullamore D.E.W from these elements. The Irish pride themselves on a good toast, they toast to love, to honour, to good health and a full life. It’s all a part of their nation’s lilt for language, an art form tinged with that famous Irish wit and master of the verbal. In Irish True style, John will offer up a traditional Irish Toast to accompany each of the 4 Tullamore D.E.W whiskies on tasting. 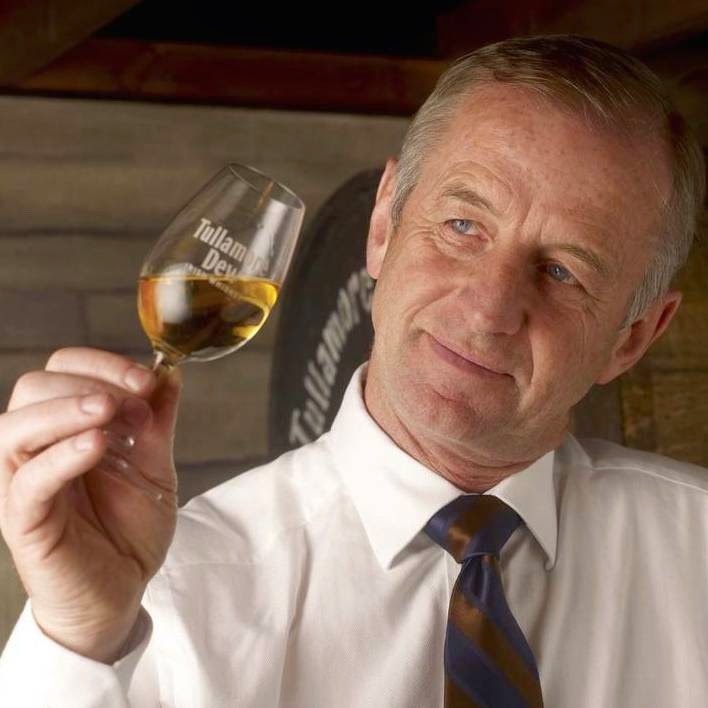 In addition to soaking up John’s immense knowledge, unique sense of humour, wit and passion for whisky/whiskey the winner and guest will have the chance to ask John anything they wish to know about whisky/whiskey and leave with a better understanding of how to taste and appreciate Irish whiskey. John's visit also marks the announcement of a new Irish whiskey distillery in Tullamore, Co Offaly. 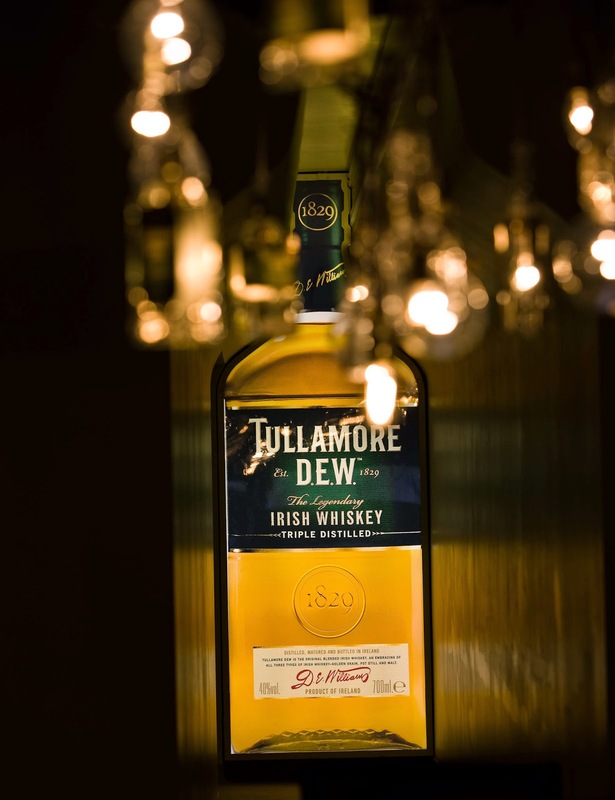 Due to start production in September 2014, the distillery will bring Tullamore D.E.W. whiskey production back to its roots, in the heart of Ireland for the first time in 60 years. Enter the competition for a chance to join TimeforWhisky at this unique tasting event by following the simple instructions below. Hope to see you there! Simply post a tweet, making sure you include include @TimeforWhisky and the hashtag #TullamoreDEWComp, explaining what Irish whiskey means to you. 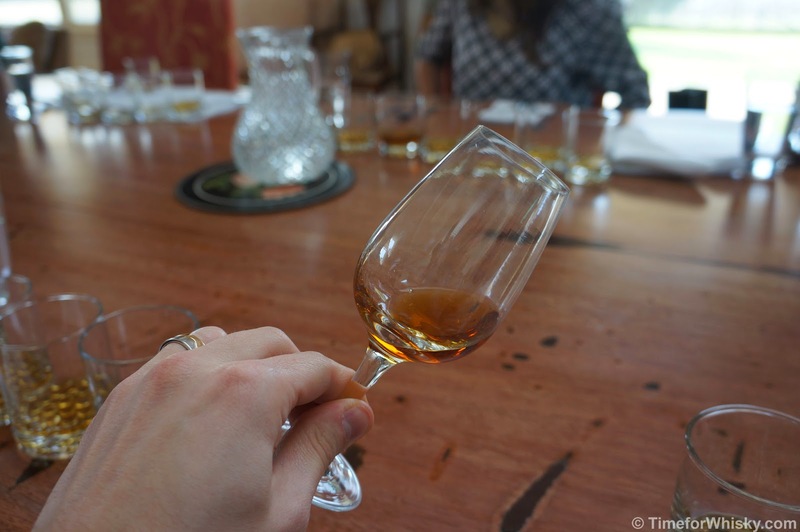 Post a comment on this blog entry, explaining what Irish whiskey means to you. It could be one word or you could write an essay - be as creative as you like, but you only have until 11:59pm AEDST on Tuesday 24th June 2014, so get in quick! The winner will be selected by Tullamore D.E.W, and the competition is subject to the Terms and Conditions below. 2. 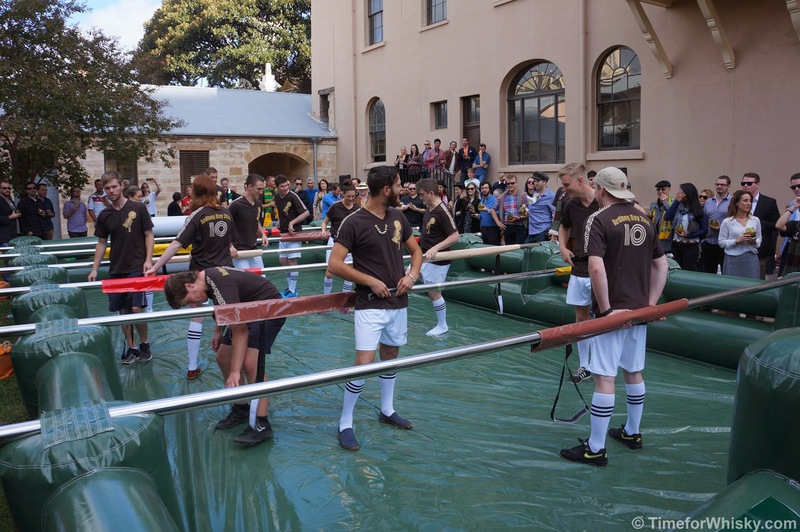 Entry is open to all residents from Sydney, Australia. Entrants must be 18 years or over (“Eligible Entrant”) and the winner must provide proof of age to confirm that they are 18 years of age or over. Employees of the Promoter, the Promoter’s associated companies, the Promoter’s agencies associated with this competition and their immediate families are ineligible to enter. 3. The promotion starts at 12:01am Friday 20th June 2014 & closes at 11:59pm AEDST on Tuesday 24th June 2014 (“Promotion Period”). 5. Entry is limited to no more than once per calendar day. Every entry made by the Eligible Entrant during the Competition Period must be different. 6. 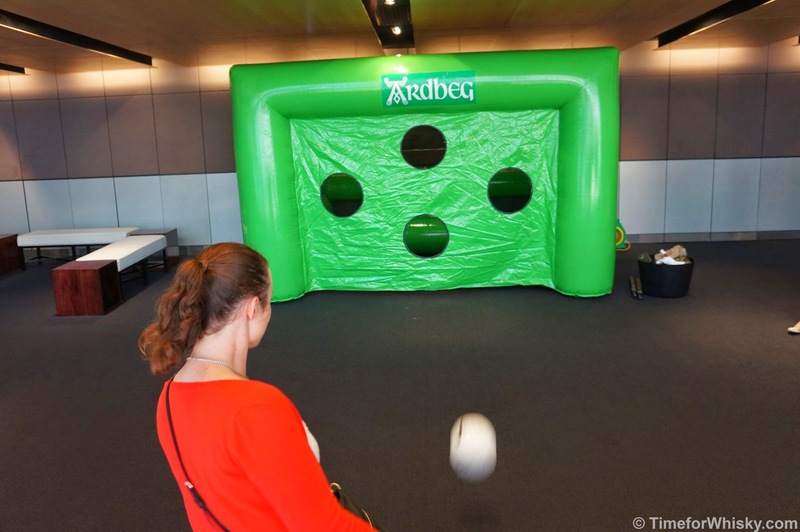 This competition is a game of skill and chance plays no part in determining the identity of the prize-winner. Every valid entry received will be judged on its merit. The judge will award the prize to entry it judges to be the best. 8. The prize event will be held on the 27th June 2014 at 4:30 PM to 6:30PM. The tasting date cannot be changed, and the winner must be able to attend on this date in order to accept the prize. 11. Prize values are correct at time of publishing blog post but no responsibility is accepted for any variation in the value of the prize. 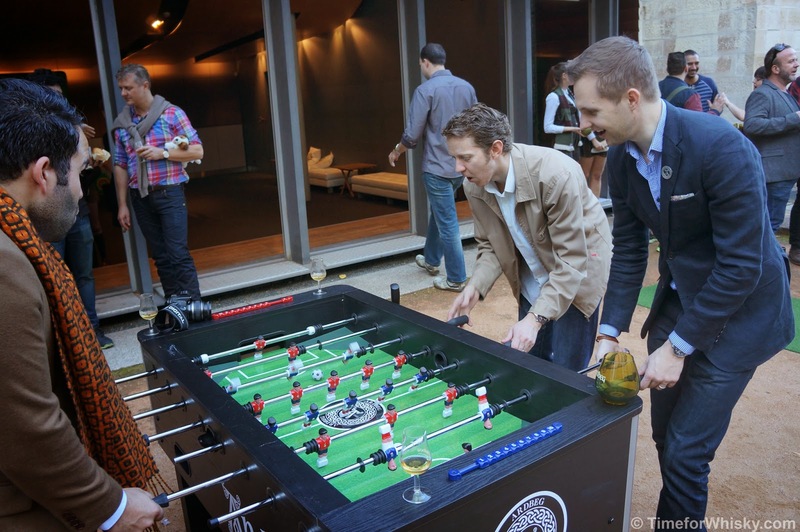 Any additional costs outside the event tasting are the responsibility of the winner. 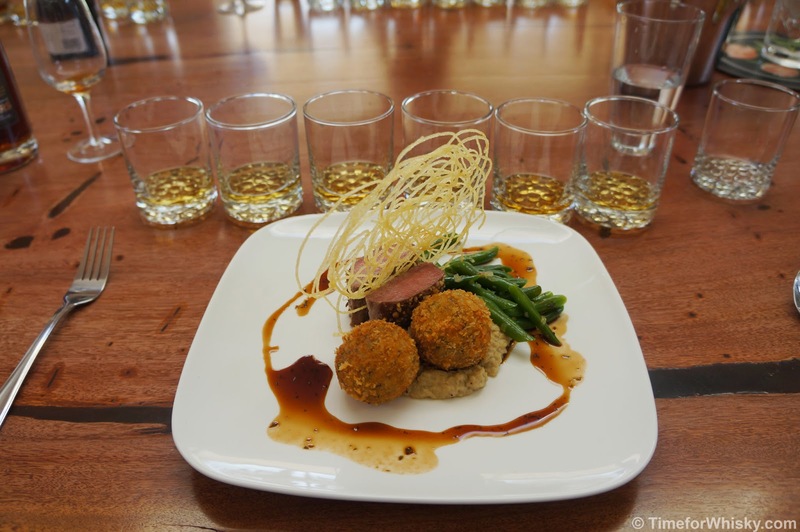 Additional costs might include travel, accommodation and any meal outside of the tasting event. 14. Each entry becomes the property of the Promoter. 15. Subject to the approval process required by any relevant gaming or lotteries authority, in the event that any prize item is unavailable despite the Promoter’s reasonable endeavours to procure, the Promoter reserves the right to substitute a different prize item of equal or greater value. 16. If for any reason this Promotion is not capable of running as planned, whether caused by infection by computer virus, mobile phone failure, line drop out, bugs, tampering, unauthorised intervention, fraud, technical failures or any other cause beyond the control of the Promoter which corrupt or affect the administration, security, fairness or integrity of the Promotion, the Promoter reserves the right in its sole discretion, (subject to any written direction given by a relevant Regulatory Authority), to cancel, terminate, modify or suspend the Promotion. The Promoter may in its sole discretion disqualify any individual who tampers with the entry process. As the only dram on my #101drams list that technically isn't a whisky, I wasn't convinced an Islay new make would be easy to find. I'd tried Glenfiddich and Woodford Reserve new make (and Jack Daniels Unaged Rye), but wasn't sure where to go about finding one from Islay. 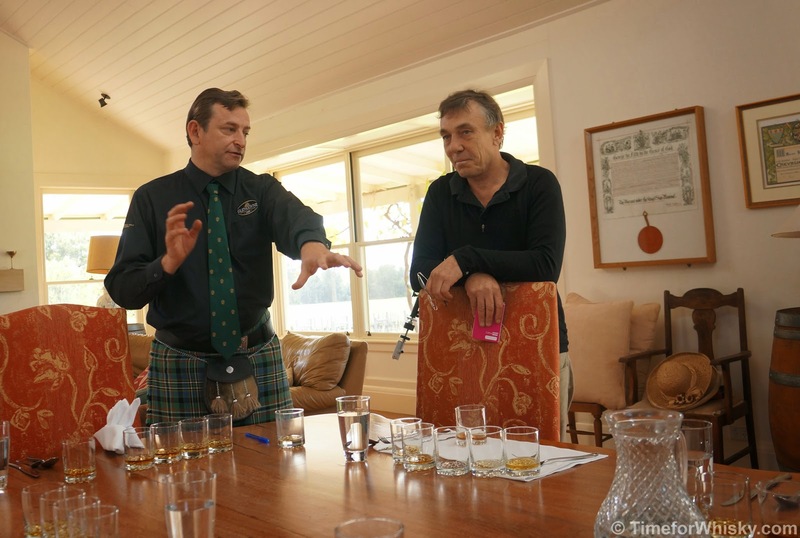 Luckily Andrew Derbidge (whisky oracle, SMWS Australia Cellarmaster & NSW Director, all round nice guy and now whisky blogger) had a sample of Laphroaig new make he was willing to share. Thanks Andrew! Nose: Freshly baked bread, tyres, ethanol, ash. Finish: Long, hot and dry. Smoky - not dissimilar in lingering peat smoke to the 10yo. Rating (on my very non-scientific scale): 89/100. Surprisingly drinkable. 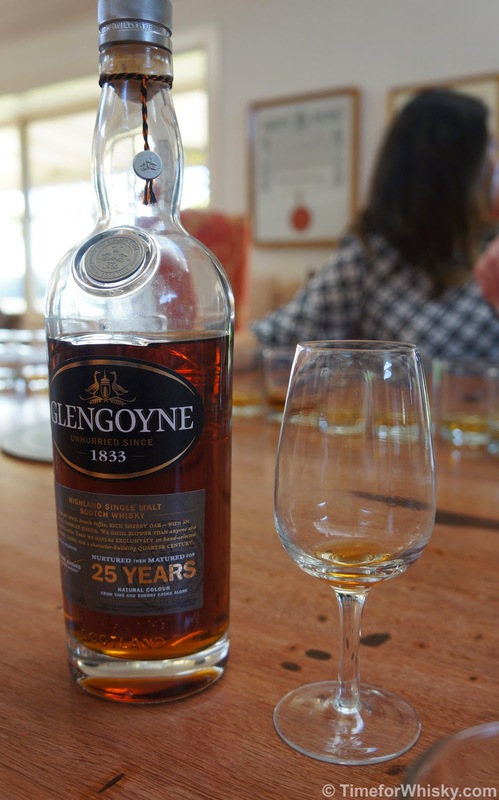 A few weeks ago I was asked if I'd like to attend the Australian launch of Glengoyne's latest 25yo expression, at a lunch to be held at Glenguin Estate winery in NSW's Hunter Valley. 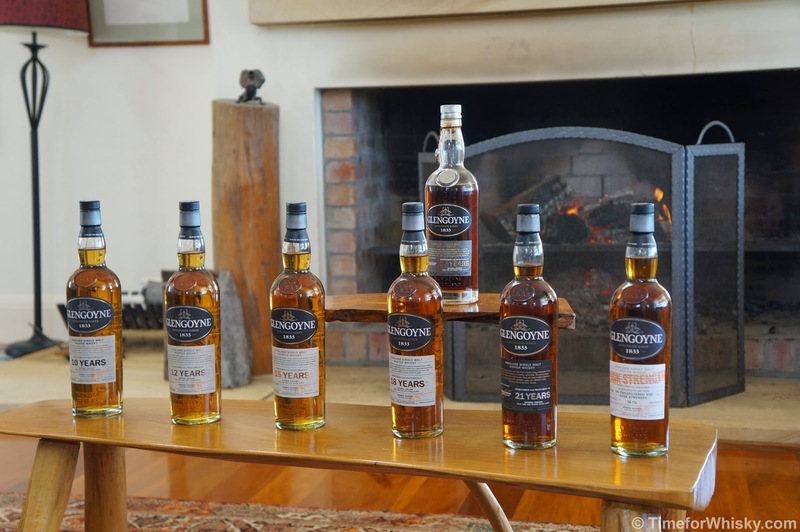 The 25yo was to be joined in a tasting by the full Glengoyne lineup, presented by Jonathan Scott (Glengoyne's Brand Ambassador) who had made the trip out from Scotland. Not really a question you say "no" to, is it? So on a sunny Thursday last week, a small group of whisky fans, media and PR folk boarded a coach bound for Glenguin Estate. 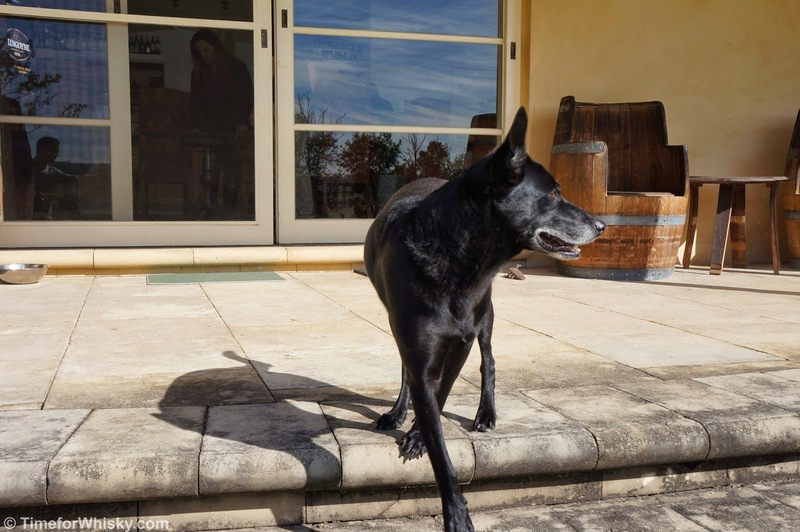 A few hours later we arrived at the picturesque winery, where we pottered around, cameras in hand, capturing photos of the estate and scenery (and one winery dog) while enjoying a few delicious canapés. 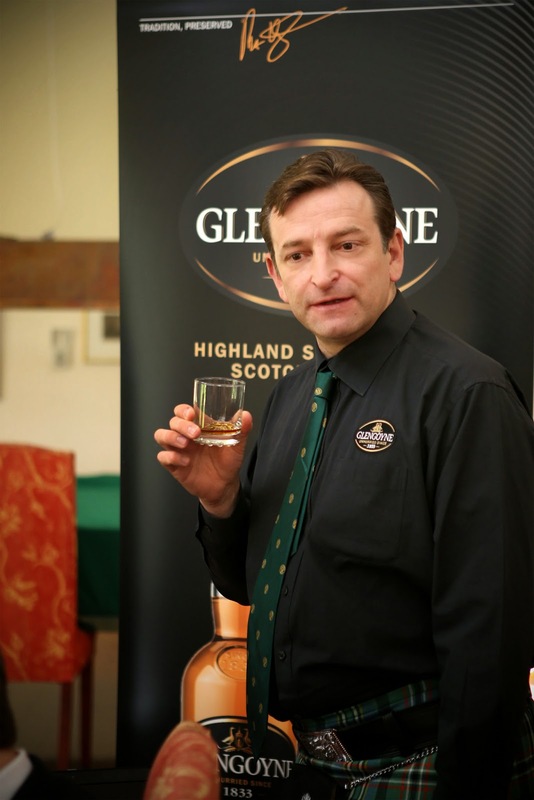 I have to admit when I first read the invite, I assumed the Glengoyne / Glenguin connection was by name only, and that DEC PR had found the venue, which just happened to offer a great backdrop, space and food. 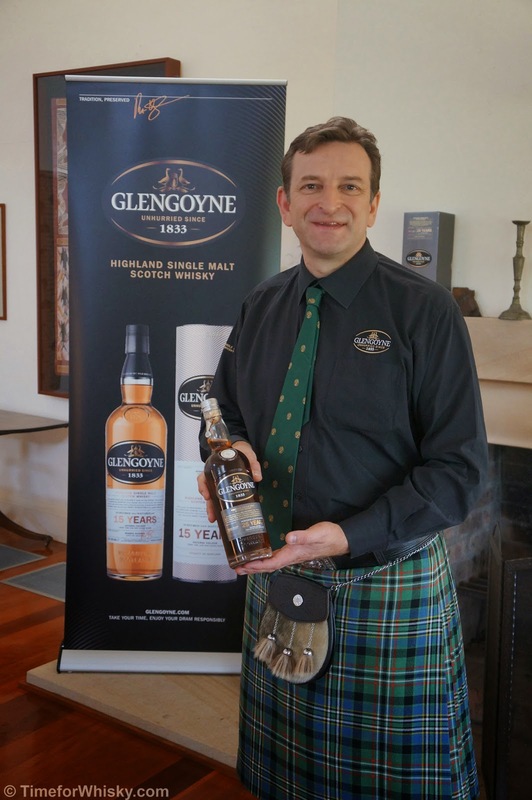 Turns out the Glenguin / Glengoyne connection goes back to the late 1800s, and in fact "Glengoyne" distillery was known as "Glenguin" until 1908. The full story can be found on the Glengoyne website here, but in short sees a family connection between the two entities that still exists today, and was celebrated in 2010 with the release of a 16yo Glengoyne finished in Glenguin Shiraz casks (20 of which were shipped from Australia to Dumgoyne, where Glengoyne is located just North of Glasgow). Sadly the above bottle sleeve is all that remains of the whisky (at Glenguin, at least) though we're told it was a trademark Glengoyne with berry hints and a very dry, tannic finish as you'd expect from a red wine finished whisky. After taking our seats (and yes, a few comments were made about the tasting tumblers - though Jonathan from The Whisky Ledger took it upon himself to find us proper tasting glasses for the 25yo) Jonathan (the Scottish one) talked us through the history of Glengoyne ("Valley of the Wild Geese"), touching on the interesting location (technically Highlands, but literally across the road from the Lowlands), ownership history, their "Macallan philosophy" when it comes to wood management, and the six brand philosophies (Tradition, Unpeated, Patience, Oak Casks, Maturation and Natural Colour). Nose: Fresh linen, stewed pears. Palate: Light initially, then growing in flavour. Apples, pears, some toffee. Finish: Medium, sweet. Pears and some raw sugar. Nose: Apples, but no pears this time. Coconut. More sherry influence than the 10yo. Palate: Bigger mouthfeel, more spice, cinnamon, still apples. The extra ABV is welcome. Finish: Medium length, sharp, spicy / peppery notes. A slight departure from the usual sherried Glengoyne style, with American Oak (we presume ex-Bourbon) aged whisky making up "25-50%" of this. 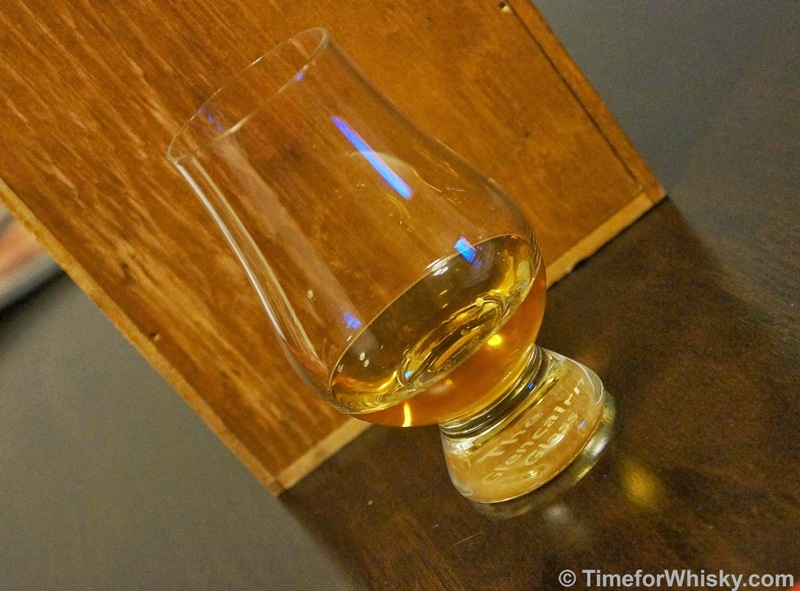 Nose: The sherry influence is definitely there, but it's a sweeter, lighter dram. Palate: Toffee, vanilla, some hints of spice. Light, almost too light. Finish: Medium to long, with sweet candied orange notes. Nose: Ah, now we're talking. Christmas cake, stewed pears and peaches. Palate: Rich, nutty, with less spice than the previous drams. Finish: Medium to long, glacé cherries. Colour: Deep, dark amber, almost copper. Nose: Dried fruits, Demerara sugar, cinnamon. Palate: Rich, full, almost too smooth. Liquid toffee. Finish: Tannins, berries, coconut. Reminiscent of an older Macallan (an 18, or even the new Sienna), but more subtle on the oak and sherry influence. Rating (on my very non-scientific scale): 92/100. Fantastic dram, but needs slightly more on the ABV side of things. My favourite from the last time I'd tried Glengoyne. Nose: Youthful, but with hints of oak. Also toffee, berries and custard. Palate: Creamy custard, with nutmeg and cinnamon. Finish: Long, peppery and spicy. Rating (on my very non-scientific scale): 92/100. Just inches out the 21yo as my favourite so far. Then it was onto what we'd all come to taste - the 25yo. 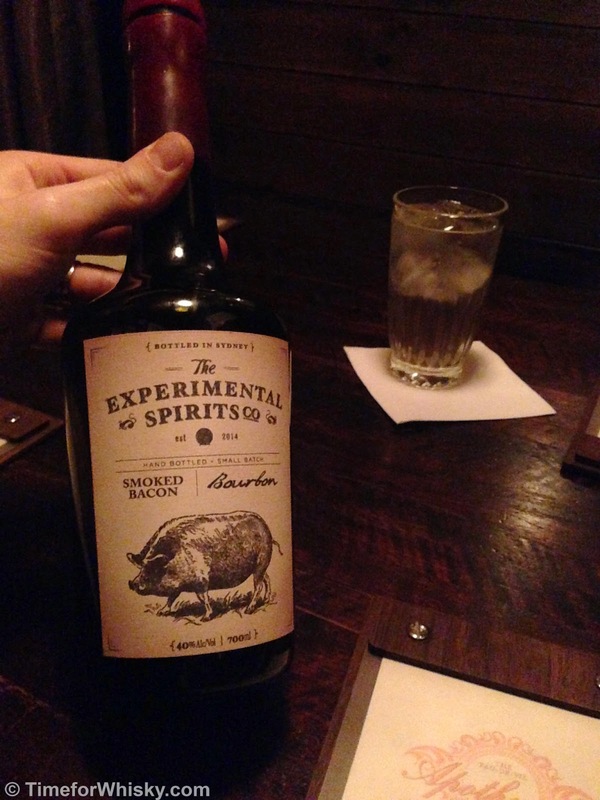 Given I enjoyed the 21yo, but thought it needed a bit more age, the 25yo at 48% ABV sounded like a winner. Plus, who can argue with 25yo full maturation in first-fill sherry casks, from a distillery who place serious emphasis on their wood selection? Colour: Deep, deep rich copper. I'd heard that "light struggles to penetrate it" and I'd heard right. Nose: Hints of spice and Demerara sugar, with a big toffee hit. Palate: Beautiful. Liquid dessert. 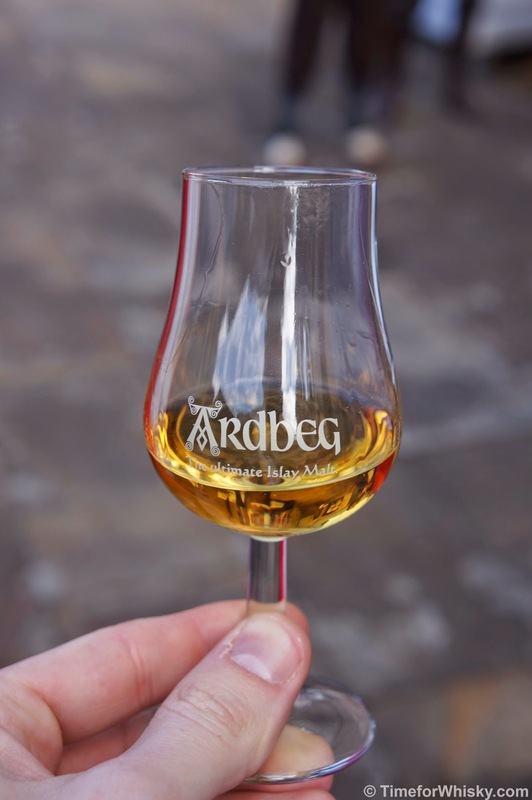 All the elements of the nose, with a thick, syrupy mouthfeel and incredibly smooth. ABV feels spot on. Finish: Long, sweet, toffee and Christmas cake. Residual Demerara again, with Christmas cake and just a hint of cinnamon at the end. Rating (on my very non-scientific scale): 93/100. 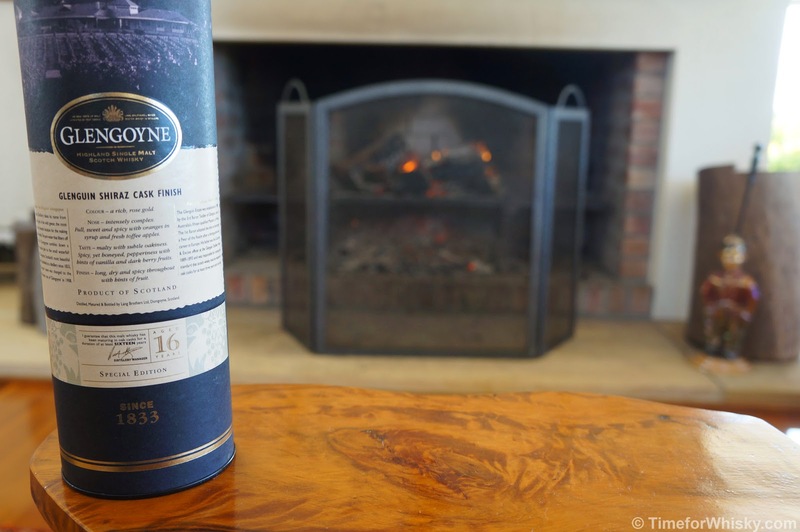 Truly a magnificent dram, one to savour on its own, after (or even as) dessert. 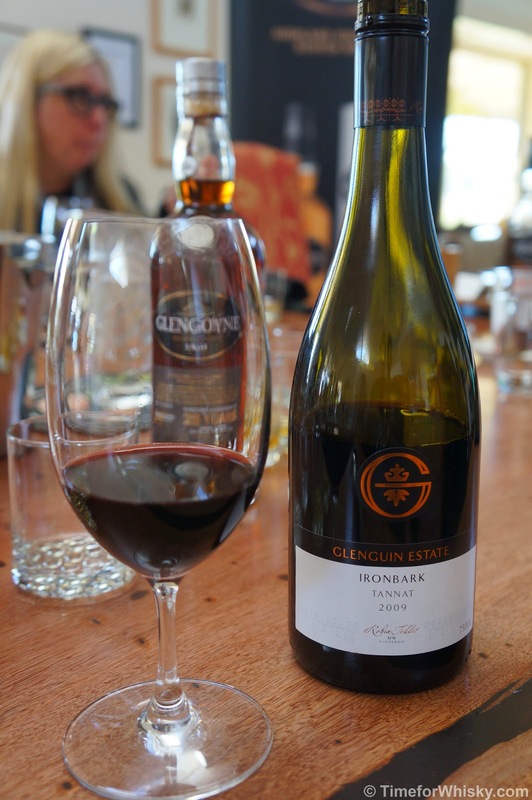 As a change from whisky (don't worry, we came back to it) we were served a few of the Glenguin Estate wine lineup. 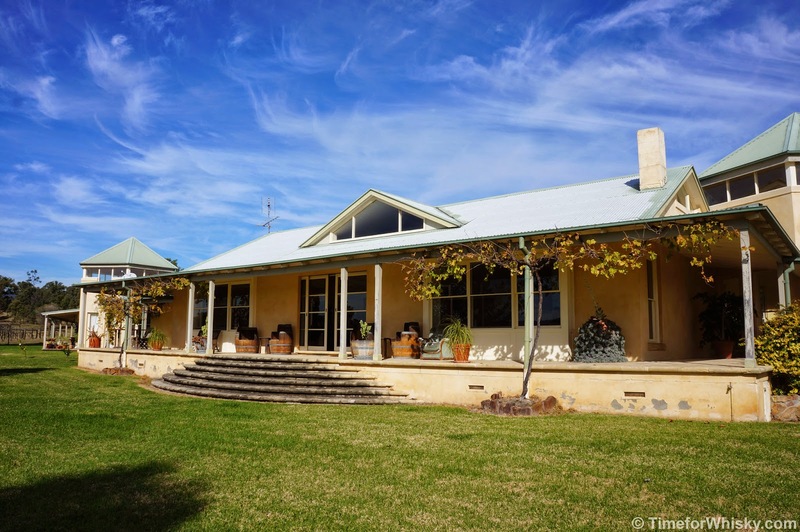 Particularly impressive for me was the 2009 "Ironbark" Tannat ($30 AUD), billed as the world's most tannic / dry grape variety. Dry it certainly was, but it also had a fantastic taste. The Aged (2006) Semillon ($30AUD) was also a great wine, though I do love a good Hunter Semillon. After chatting to Jonathan a bit more, a few more photos and another dram or two of the 25yo, it was time to bundle ourselves into the coach for the long (and snoozy) trip back to Sydney. A 10/10 day. 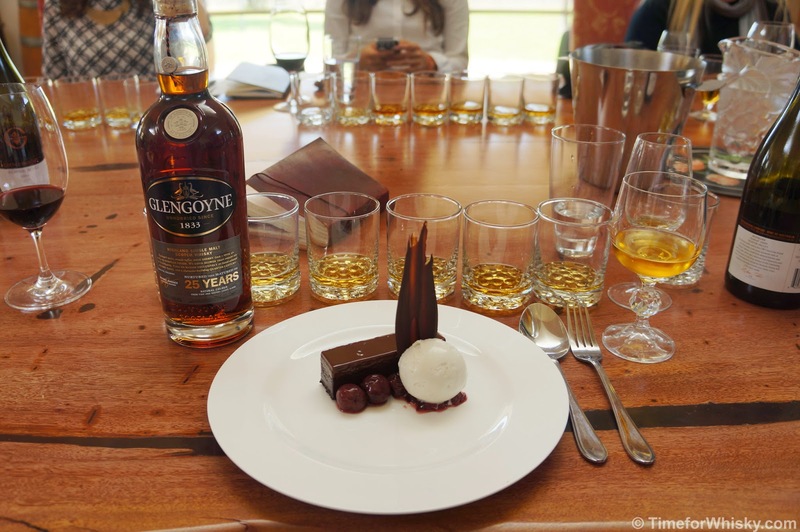 A huge thanks are in order to Glengoyne and DEC PR for putting on such a fantastic day, and to Jonathan Scott for making the trip out from Scotland.